The best celebrations are those filled with family and friends. The kind of celebration that brings everyone together with food (of course) and plenty of laughs and good cheer. In order to have this type of celebration, you need people to celebrate with you! 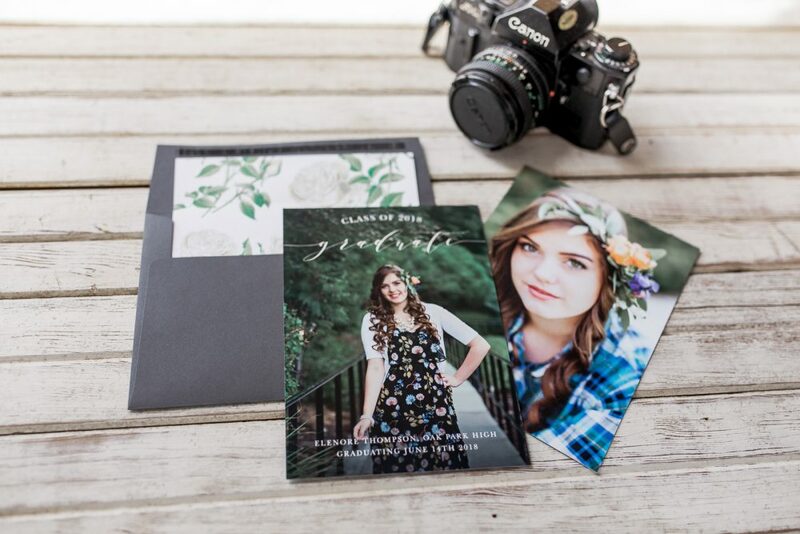 And what better way to show off your fantastic senior portraits than custom grad announcements and invitations?! In the past, I’ve offered custom invites and announcements that I’ve hand designed using the colors and themes in the photos as inspiration. So, when Basic Invite reached out to me about trying their products, I was skeptical to say the least. After seeing their beautiful designs and using their easy drag and drop ordering system to customize them -adding photos and text with a few simple clicks- I was converted. Then, once they arrived and I felt how luxurious the paper felt and how rich the colors printed…and for the price? !… I wouldnt recommend anyone else! Read more about their lovely products below and be sure to check out their site when the time comes to order yours! 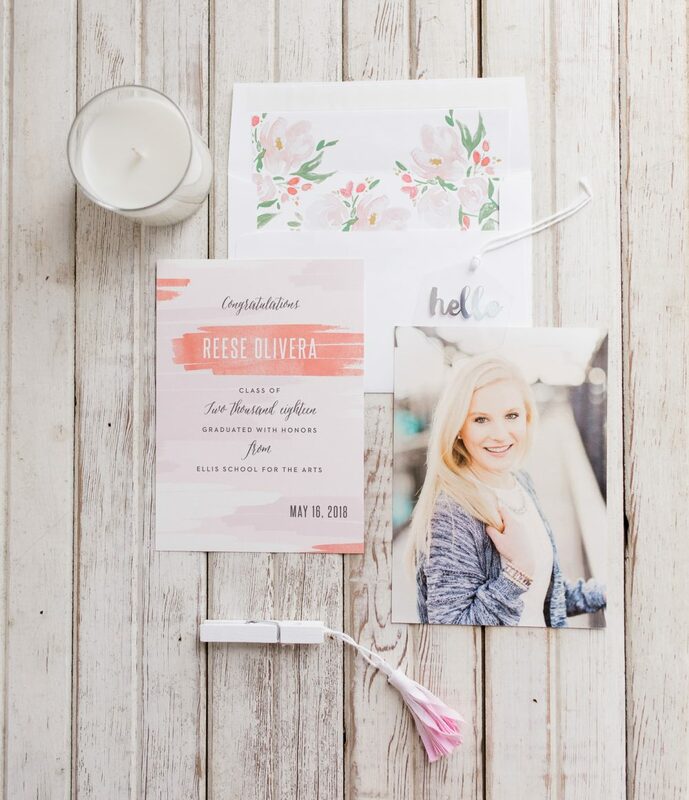 Basic Invite is your one stop shop for personalized invitations with a colorful, personalized flair. Basic Invite allows you to create your own graduation announcements and thank you cards. You can upload your senior portrait and then pick and choose a color scheme that best suits you. They have over 160 colors to choose from (so you’re sure to find school colors or your favorite color). They also provide color palettes if you’re not sure what colors would look the best together. 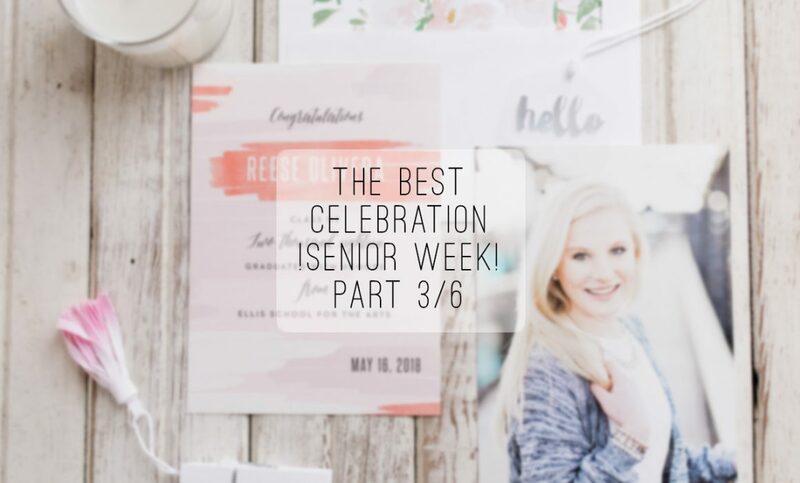 The graduation announcements are easy to create and you can allow your creative juices to flow. After uploading your photo and picking your color scheme, you can go in and pick what kind of font you would like. Don’t worry about it being stuck in one place. You have the option to move the text around so it can either frame your photo or what have you. 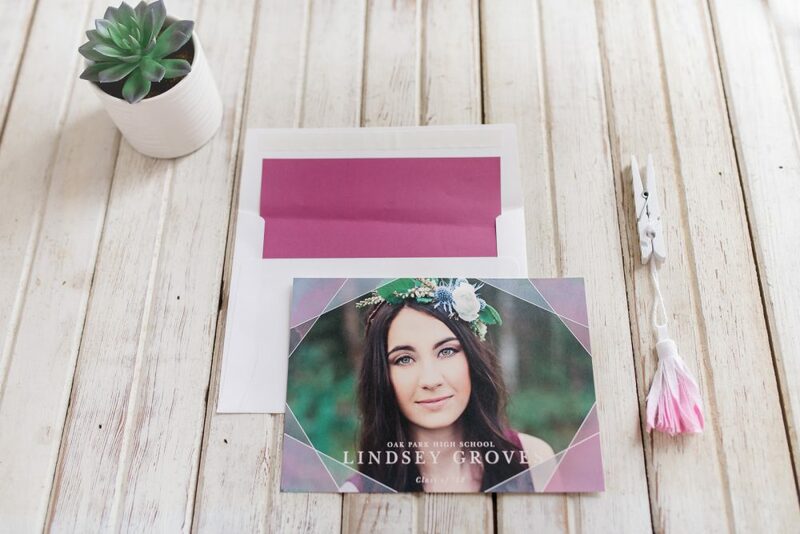 The envelopes come with a liner where the design can range from floral to geometrical. They’re super unique and colorful. Personally, I’m in love with the white rose design because of its elegance. If flowers aren’t your thing, you can pick from over 100 geometrical patterns or go for a solid gold liner (because this is your day to shine). On the outside of the envelopes, you can type in the address of the recipient, your return address or leave it blank if you would like to add in your own handwriting. After your party is done and you’ve received all the gifts you thought imaginable (thank you Aunt Sally), it’s time to send thank you cards. Basic Invite has your back there as well. You can pick from over 50 pre-made cards or you can make your own. 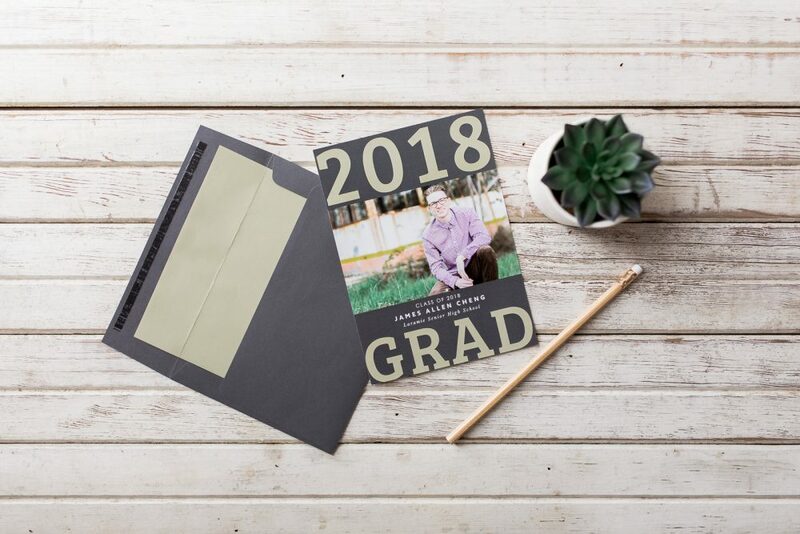 Again, it’s probably best if you stick with the same color theme and picture that you did for your graduation announcement if you’re going to customize your thank you letter. Cards start at .86 cents and go up from there. It’s about $50 for 25 invitations but for all the customizable features, it’s definitely worth it.